In July 2017, my work held a gala. I had decided a few weeks prior to the gala that I was going to wear my graduation dress, but it wasn’t until the night before that I finally tried it on. It didn’t fit. Around that time, due to my diet and lack of activity, I typically felt sluggish and lacked energy, my clothes were tighter, and I was slowly starting to feel like I was in somebody else’s body entirely. Now I knew I had gained some weight, but I didn’t know I had gained that much weight. I had only graduated the year prior, and now the zip of my dress barely went up my back. My initial reaction was to panic, I turned to Levi (who was dealing with the fallout and turmoil of me figuring out that a dress I had bought a year before now didn’t fit at all, poor guy) and I told him I wasn’t eating anymore. I was going to crash diet and do my usual ridiculousness of pretty much eating peanuts for breakfast, lunch and dinner (I had done this in periods starting from year 13/age 18 – it wasn’t sustainable and let’s not even mention how unhealthy it was). He gave me some spiel about how I needed to change my mindset and not just see health & fitness as a weight loss blah, blah, blah. I wasn’t hearing it. The next day I went into work and announced to one of my colleagues that I was starting a health & fitness journey. I had two poached eggs for breakfast that day, and a miniature salad for lunch. By the time it got to the evening, I was absolutely dying of hunger and unable to concentrate on my work. I work long hours, I need the energy – so I realised very quickly that it probably wasn’t sustainable what I was doing. I had been scrolling through “fitness girls” accounts on Instagram for a little while by then, and kind of familiarising myself with a whole new world of strength based exercises, and things like a “leg day” (vs. every day cardio), so I thought I would just try that (previously, I had avoided weights entirely in fear that it would morph me into a man). Suddenly, I felt very motivated to make a change. So I cleaned up my diet a tad, and cut out ridiculous things like every day chocolate cakes and chicken katsu curries for breakfast. However, I was still living under the idea at the time that carbs were evil so instead of eating any rice or pasta, I would load my body with fats (mostly very meaty meals). One thing I did change, however, was my exercise routine. I started off by waking up every morning and doing an ~20 minute pilates home workout before getting ready for work. I’d put my quilt on the floor, roll out of bed, and work out on that. As simple as it was, I was so unused to working out that my body would be aching all over by the end of the week. I remember the first time I did lunges and I couldn’t quite believe the pain of what seemed like such a simple move (progress: today, I did them with a 10 kilo plate held over my head ;)). Over time I bought a yoga mat, then eventually I purchased some weights, and finally I picked up some resistance bands. I was really starting to enjoy working out. When I was doing my pilates workouts I would workout to Cassie Ho’s videos; in the morning I would decide which part of my body that I wanted to work out and find a suitable video. Eventually I would take gym workouts from YouTube and Instagram and adapt them into home workouts. My favourites were Hannah Oeberg, GraceFit and Whitney Simmons – I still love following these girls’ workouts now! I also love Ajahzifit, Nikki Blacketter and Kim French. I saw changes fairly quickly – I started to slim down, my bum lifted (yay), and I just had a lot more energy. I felt good. 4 weeks in I tried on my grad dress and although it was extremely tight, the zip could squeeze it’s way to the top. At my work gala, I had won 10 free Psycle classes (I’d wanted the free steak meal but hey – I guess I got what I needed) – so I started to do my home workouts 5 times a week, take Saturday off, then go to Psycle on Sundays. I wrote a review about it here – I absolutely loved Psycle classes and it was a great way to get me prepped for more intense workouts (as my home workouts really weren’t too intense). Towards the end of 2017, an e-mail popped up in my inbox at work asking me if I’d like to sign up for a full health check, offered for free by my work. Obviously, I said yes. I went on a Friday afternoon, and all the results were good (I’m in my early 20s so it’s unlikely at the moment for me to have any major health problems) – however – one alarming result was my body fat percentage… it was in the category of “obese”. I had only been working out for a few months at this point, but I knew I had to do more to make changes here. I decided that along with my morning home workouts, I was going to start hitting the gym a few times a week for just 20 minutes at a time to slip in some HIIT routines. Whilst I was in the gym I couldn’t help but notice all the pieces of equipment that I’d always see in the YouTube videos I’d watch but always have to “adapt” for my workouts. I wanted to use them but the issue was that I had “gymtimidation”; I didn’t know the first thing about these machines and I didn’t want to embarrass myself whilst I faffed around. However, around the time Levi was also cranking up his own gym-attendance-frequency and we started going to the gym a lot more together, so I’d just get him to show me a few of the machines and a few weight based workouts whilst we were there. Once I had used a few, my confidence here slowly started building; then over Christmas time when I was back at my family home, I signed up to my local gym for 2 weeks which is a lot quieter than the usual gym I use, and used that sort of as my “gym crash course” to get familiar with the equipment and new routines with minimal watching eyes. Still trying to work out how to drop my body fat percentage out of the “obese” category, I watched a video around the time that suggested downloading MyFitnessPal – this was not to get obsessed with numbers and tracking calories and macros, but just to get a better sense around what I was actually putting into my body. It was through using MyFitnessPal that I realised my unbalanced red-meat-saturated-fat heavy diet wasn’t a “good” one just because it was low in carbs. I slowly started to adjust my diet bit by bit by introducing leaner meats and fishes into it, introducing carbs back into my life (I eat lots of rice and pasta ya’ll), adding more veggies, cutting down saturated fats, drinking more water and seriously, seriously cutting down on sugars (there’s a reason why the “sugar tax” was introduced…). This is still how I eat today and not only has it made me a lot happier (honestly I love that I don’t have to be restrictive with my diet – because I love food too much), it also made a lot leaner (my body fat perentage is now in the “athletic” category – yay) and it has also given me much healthier relationship with food (honestly if you come to me and tell me that you’re crash dieting, or that you’re not eating to lose weight, or any other unhealthy food habits, I will definitely go off on a tangent as to why it’s bad and unsustainable). We’ve made it a whole gahd damn year on. These days I’m working out ~5x a week in the gym (a few lower body days, some HIIT days, 1 upper body day), and eating as above. I remember leaving the gym once before I started my journey and thinking “one day I’m going to want to take this whole health & fitness thing seriously”, and I’m honestly surprised at myself sometimes that I have managed to make this into a lifestyle because my thinking has traditionally been so short-term. Indeed, I’ve slimmed down (and built muscle!) I’ve lost around ~20lbs which I’m happy about, as it was definitely one of my goals. However – there’s a lot more to it than that. Away from the weight loss, I also feel so much less sluggish, and so much better in general now that I eat better and make it a priority to work out. I enjoy working out and following new routines in the gym, I love it when I see people around me turn to taking health & fitness more seriously too. I don’t stress out if I miss a day at the gym, and I’m not restrictive. That all said, without a doubt, one of the best things that has come out of this journey so far is that I’ve learned discipline. Let’s be honest, input doesn’t always = output (as simply put as that) in day to day life, however, this is one situation where it absolutely has (through being patient and enjoying the journey). 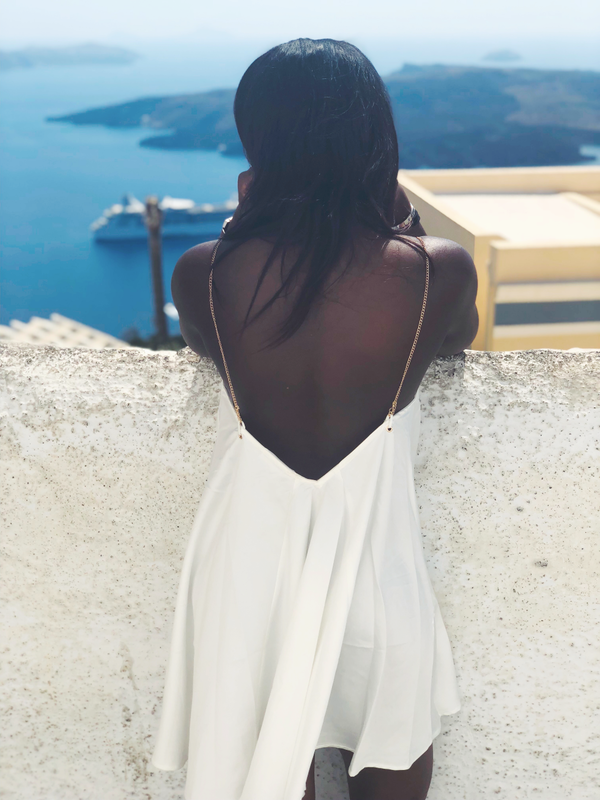 One Response to "Reflecting on 1 Year of My Health & Fitness Journey"
I love reading fitness posts, even though I’m not a fitness blogger, I have my own little journey. I’m so glad you are feeling more of yourself and motivated now. And I’m also glad you are doing your fitness journey healthy! Trying to get fast results never works well and it is so bad for your mental health too. Keep at it girl! You’re doing soooo well.